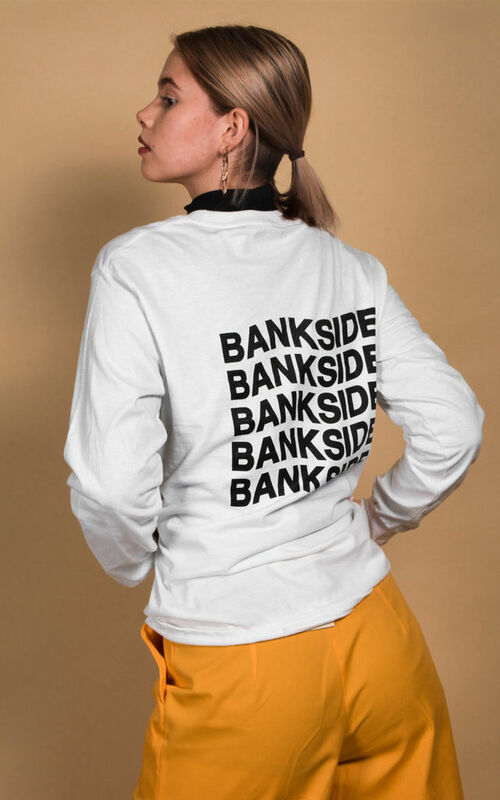 White long sleeve t-shirt with black Wavy chest print and black Wavy back print - Bankside SS18 collection. This item has a boxy fit, Item fits true to size. 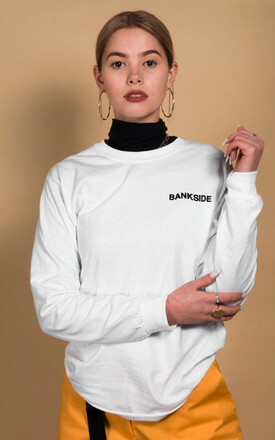 Take your regular size for a regular/slim fit, take one size up for a relaxed/oversized fit. Designed and Printed in the UK. 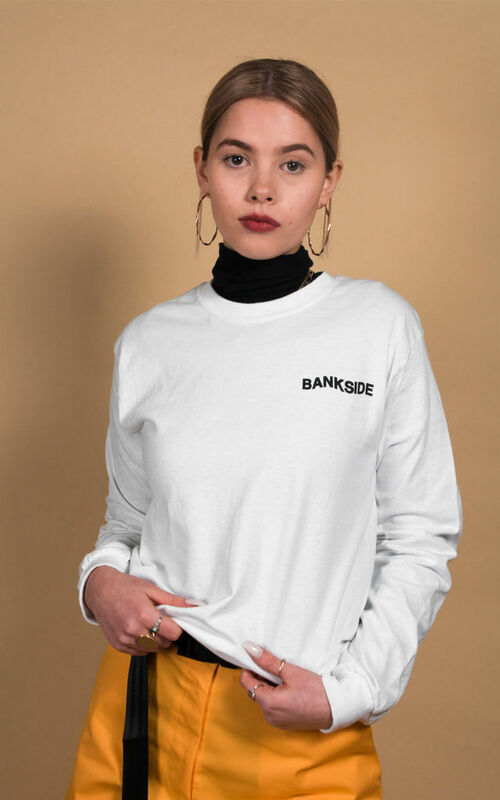 100% super soft cotton, heavyweight material with ribbed collar, printed with environmentally friendly ink. Size Guide: S - 34/36" M - 38/40" L - 42/44" XL - 46/48"